There are 12 math task cards in this product. 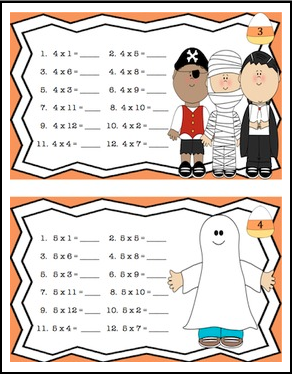 Each one has 12 multiplication facts and Halloween clipart. 2 recording sheets for answers. Stop by again for more freebies, new products, and sales. Click on the green star to follow my store!